Cotton farmers in Mali have reduced their use of toxic pesticides and cut costs through an education project carried out by the UN Food and Agriculture Organization, and partially funded by the European Union. The UN established field schools to train cotton farmers to use alternative forms of pest control, such as “biopesticides”, which led to a 92% decrease in the use of toxic pesticides. The researchers carried out the study on the impact of field schools in two Mali regions – Bla, in the south, and nearby Bougoni, where there was no field school. Only 34% of cotton farmers in the Bla region participated in the programme, suggesting that farmers acted as “catalysts”, spreading the new pest control method themselves by word of mouth or by other means. The use of the biopesticides, such as neem tree extract, meant that the farmers refrained from using an estimated 47,000 litres of synthesised pesticides, saving them nearly half a million dollars over the study period. The biopesticides, which had no negative impacts on yields, therefore proved to be three times more cost-effective than synthetic pesticides. “We must learn from the farmers’ experience. Pragmatic, field-based and farmer-centric education can and must play a key role in making agriculture stronger and more sustainable,” said the FAO’s director general, José Graziano da Silva. The UN, the EU and the Netherlands government funded the study, which was published in the Royal Society journal last week. 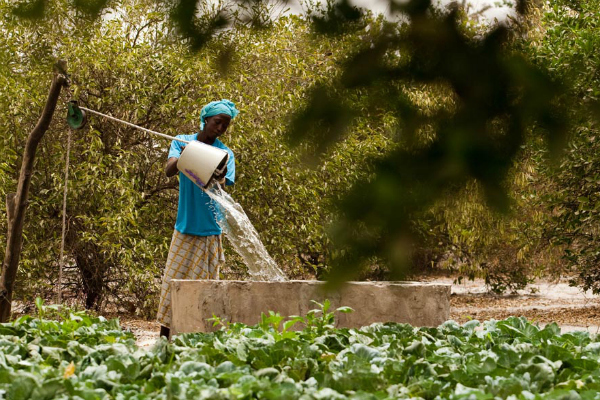 The FAO has integrated pest management programmes, purportedly ecosystem-friendly crop schemes, in Benin, Burkina Faso, Guinea, Mauritania, Niger and Senegal, in addition to Mali. The EU is allocating €2.5 million in funding towards a second phase of the Mali cotton project, in collaboration with the FAO and the International Trade Centre. Cotton is seen as the crop which is most reliable in providing regular income to Malian farmers, provided world prices are stable. An estimated 4 million farmers grow cotton in Mali and it accounts for about 8 to 9% of the country’s gross domestic product, the FAO says. The high value crop also accounts for approximately 75% of the country’s export earnings. “The cotton industry is vital in terms of creating jobs and boosting growth in the country; and it's very positive to see such impressive results are already being achieved,” said Alexandre Polack, the spokesperson for the European commissioner for development, Andris Piebalgs, referring to the Mali project. The Royal Society also published another study showing that some conventional pesticides posed a risk to human health and the environment in West Africa. The study measuring pesticide ecological and health risks found that farm workers and their family, including children, were routinely exposed to high concentrations of pesticides known to be toxic, such as methamidophos and dimethoate. Protective clothing is not frequently used in West Africa and inhabitants and reports of ill health, hospitalisation and death due to chemical exposure are not uncommon, the FAO says. Farmers in the EU use biopesticides in conventional farming for some specific crops, in organic farming and in so-called integrated pest management. The EU has launched an innovation partnership, ‘Agricultural Productivity and Sustainability’, with working groups on organic farming and integrated pest management. The EU is supporting at least two other similar pest management schemes, the PIP project in the African, Caribbean and Pacific (ACP) region and Syprobio, a biological farming project.